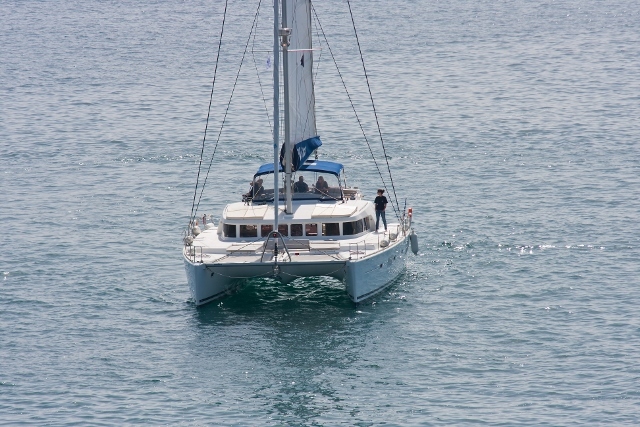 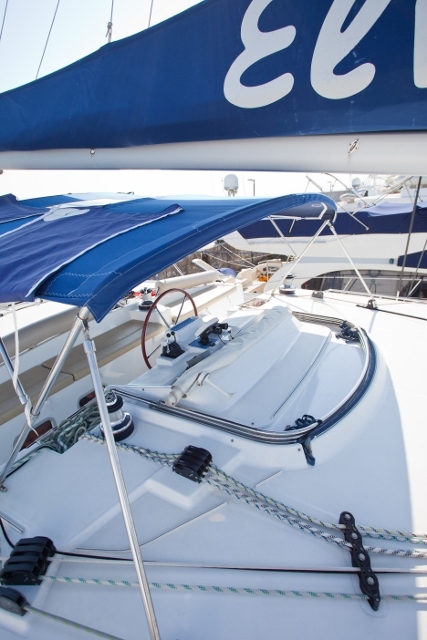 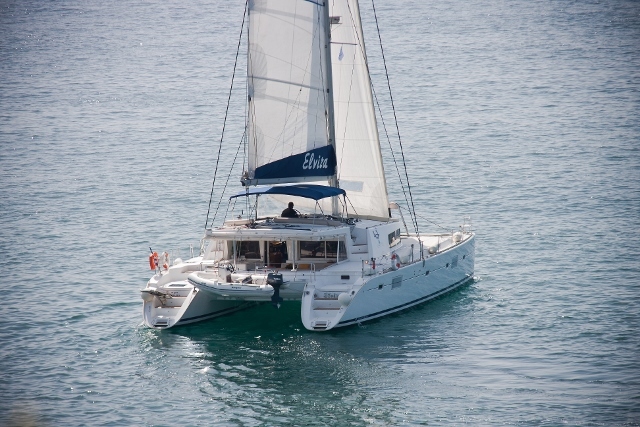 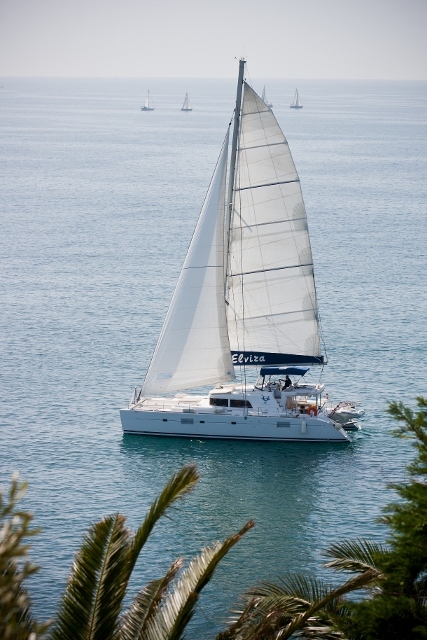 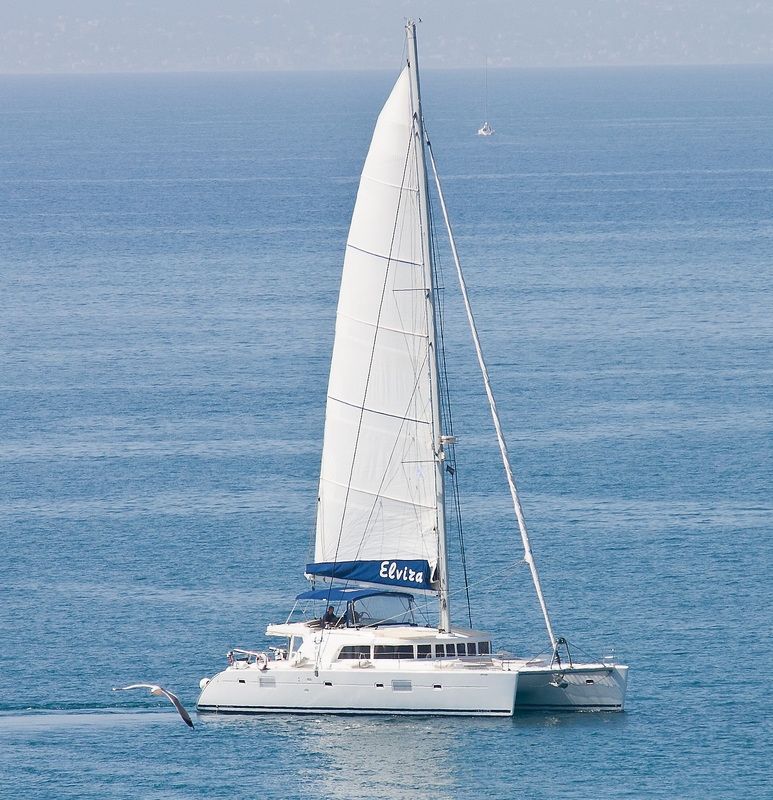 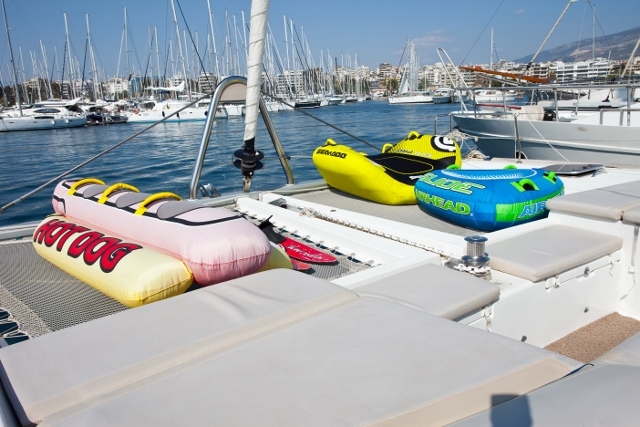 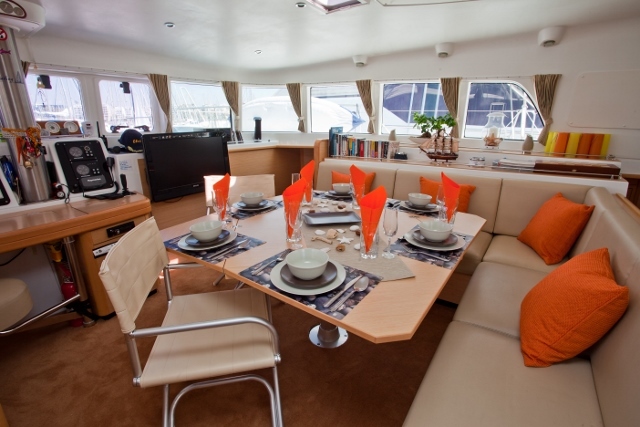 ELVIRA - Catamaran - Lagoon 500 (5Cab) - Enjoy Sailing Holidays in Greece! 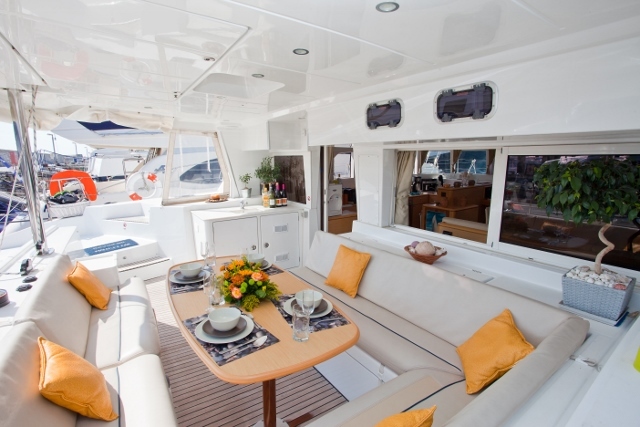 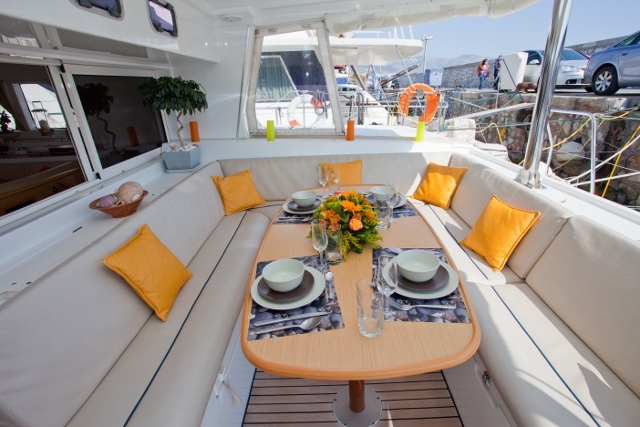 The Lagoon 500 ELVIRA is the perfect choice to discover the beauty of the Greek Islands. 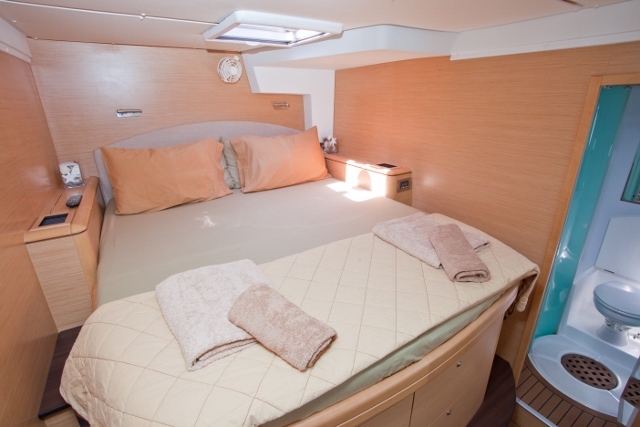 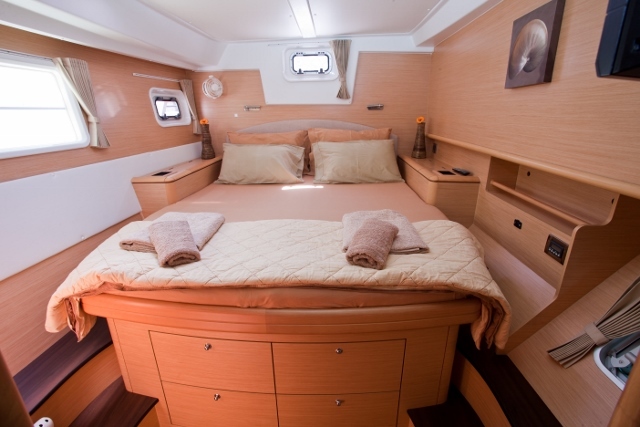 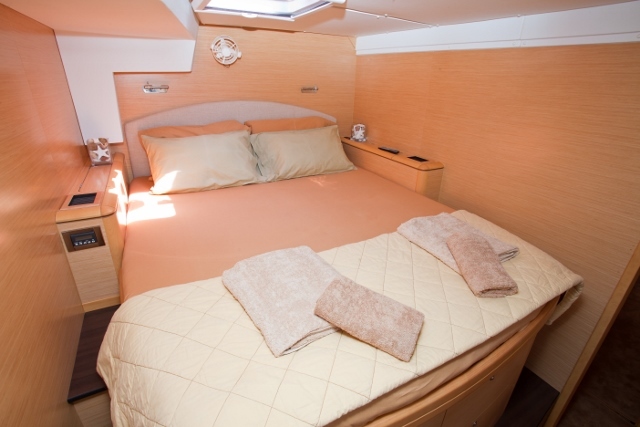 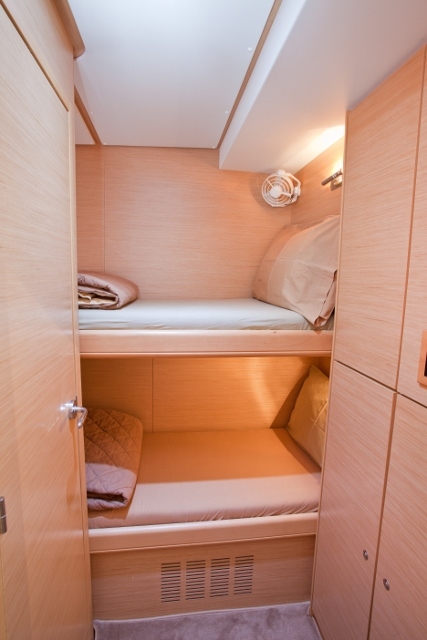 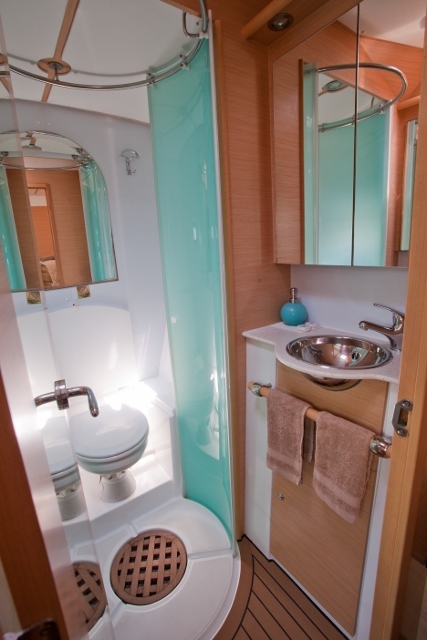 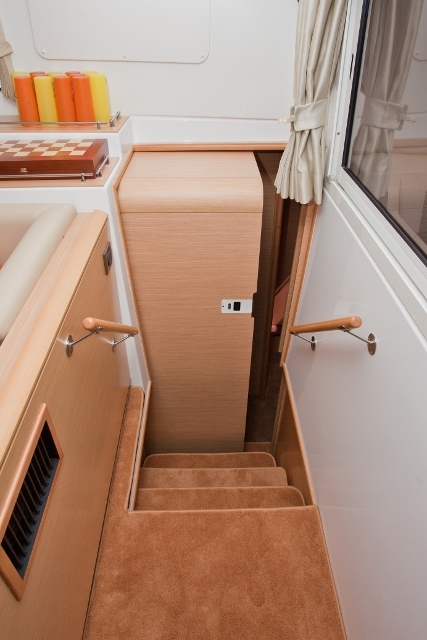 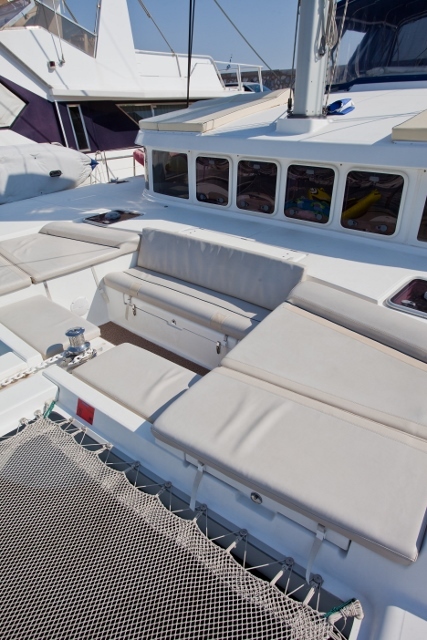 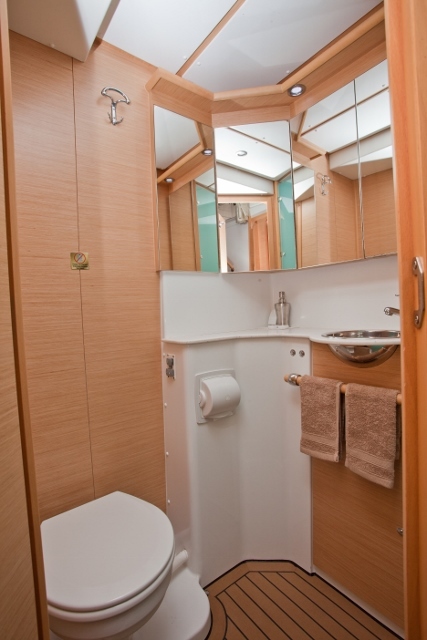 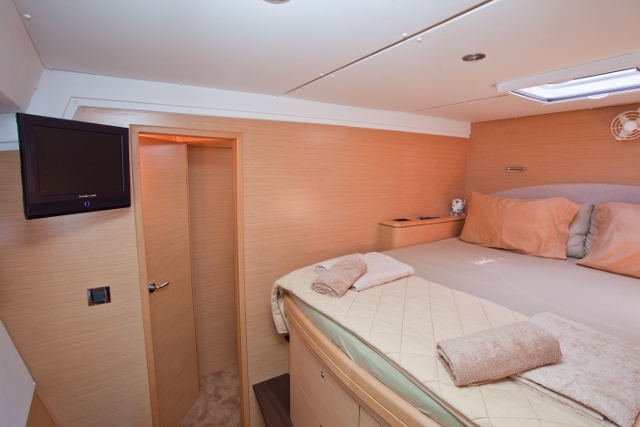 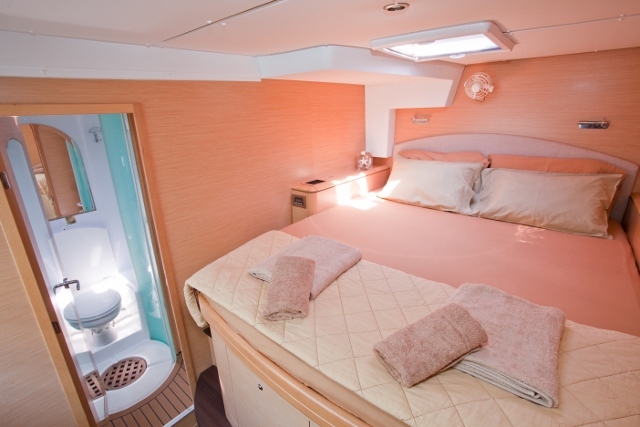 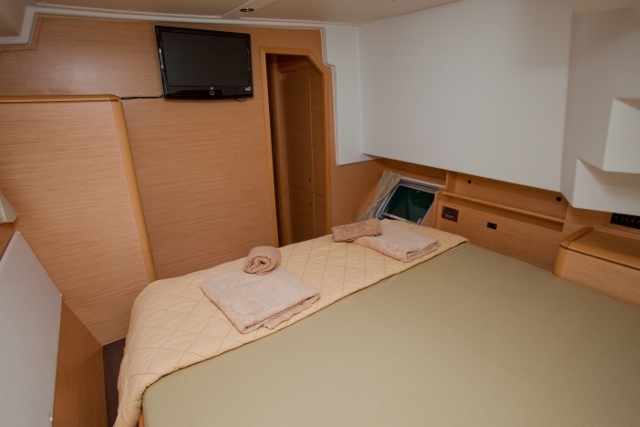 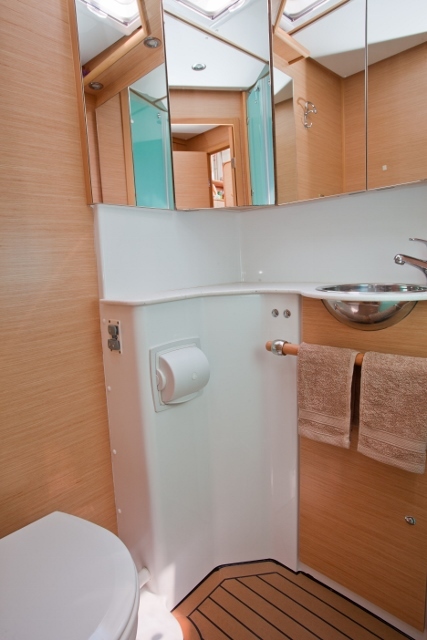 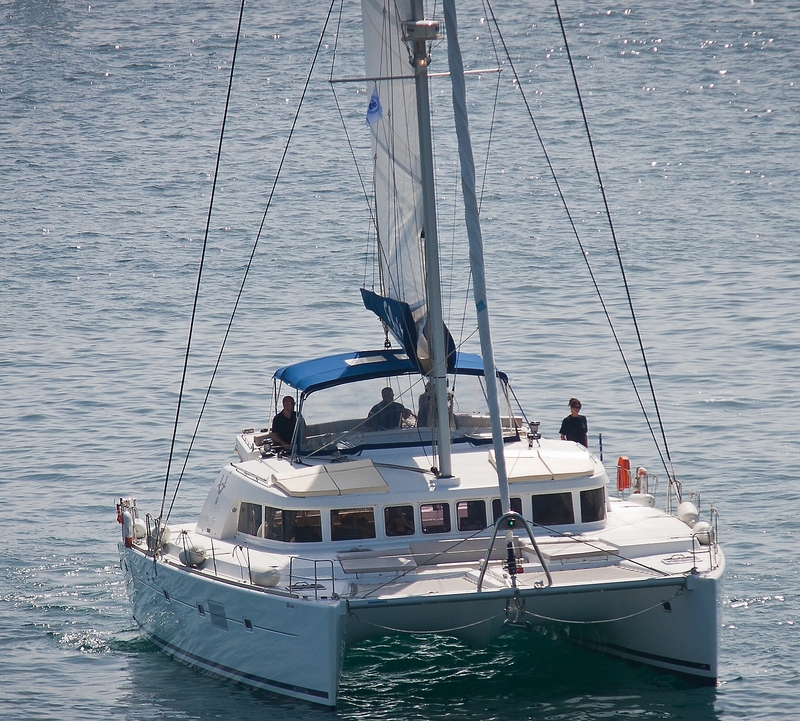 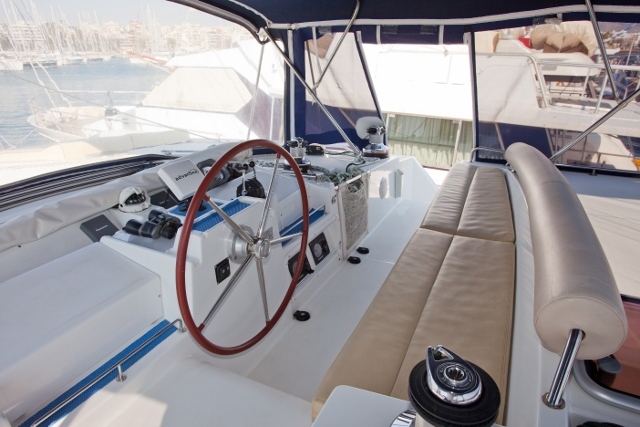 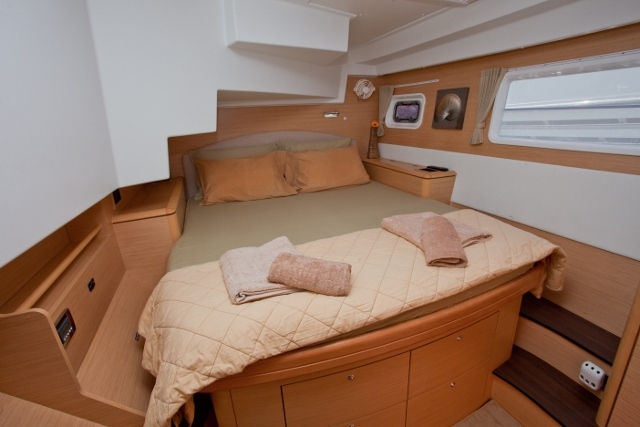 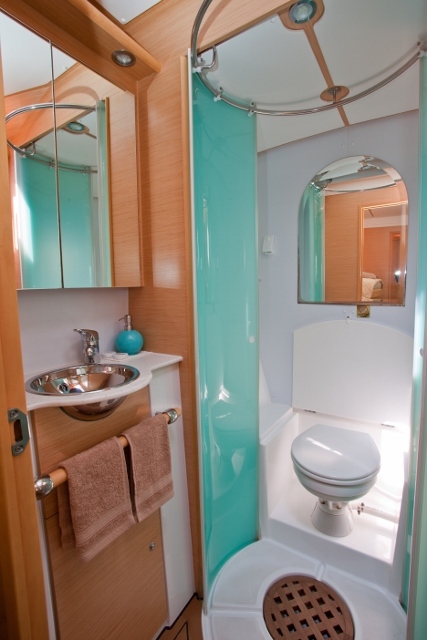 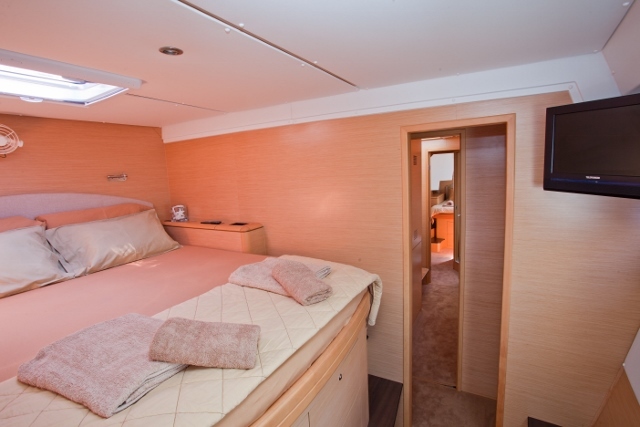 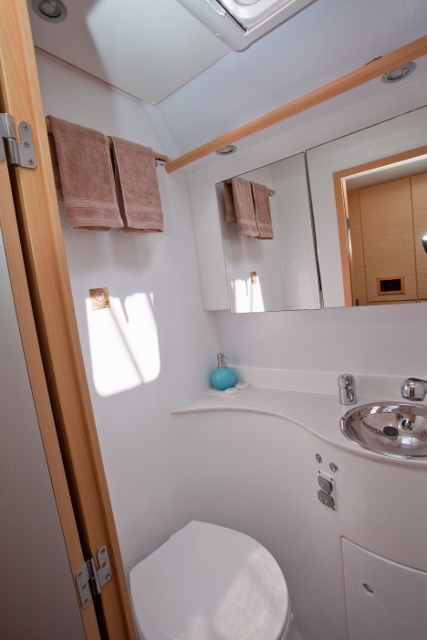 She can accommodate up to 10 guests in 4 double and 1 twin cabin, all with en-suite bathroom and fully air conditioned. 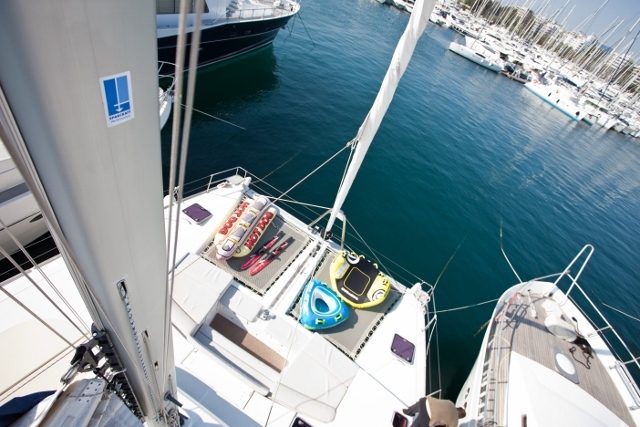 Relax and enjoy the sun on the spacious sun deck and dive into the sea from the swimming platform. 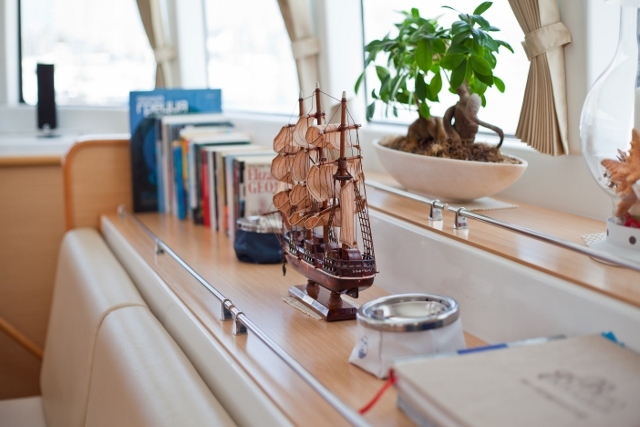 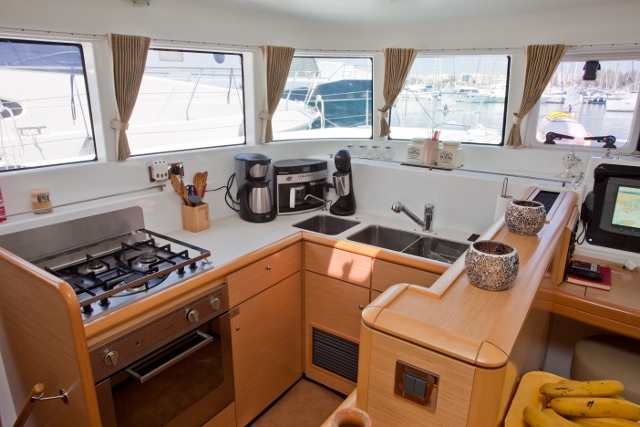 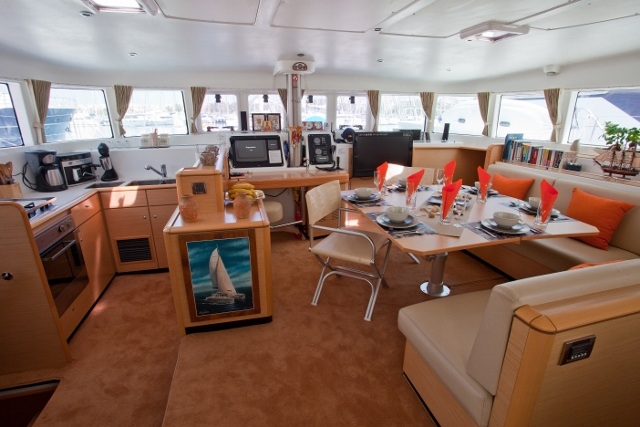 The fully equipped galley is simple, but elegantly decorated in warm earth tones and wooden furnishings. 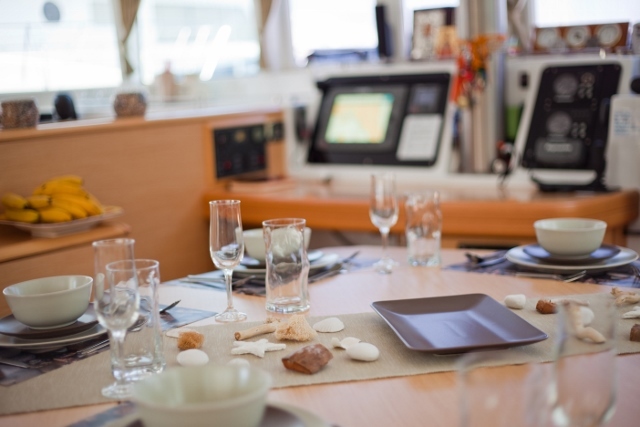 The crew is composed of Captain Vaggelis, the deckhand and hostess, who is an expert in the finest gourmet cuisine. 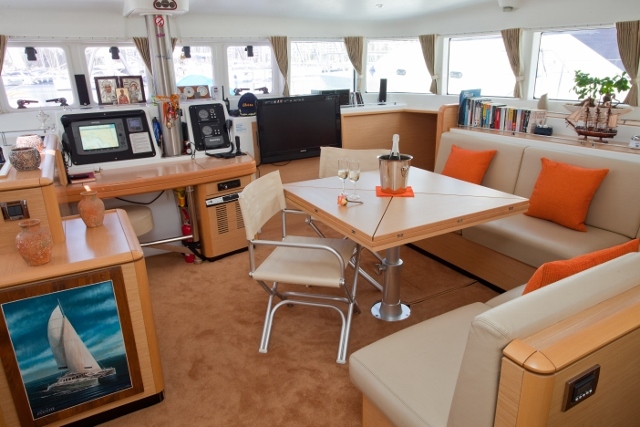 Further to her excellent service on board ELVIRA also offers a wide range of water toys and multimedia equipment such as TV, DVD home cinema, play station and other.